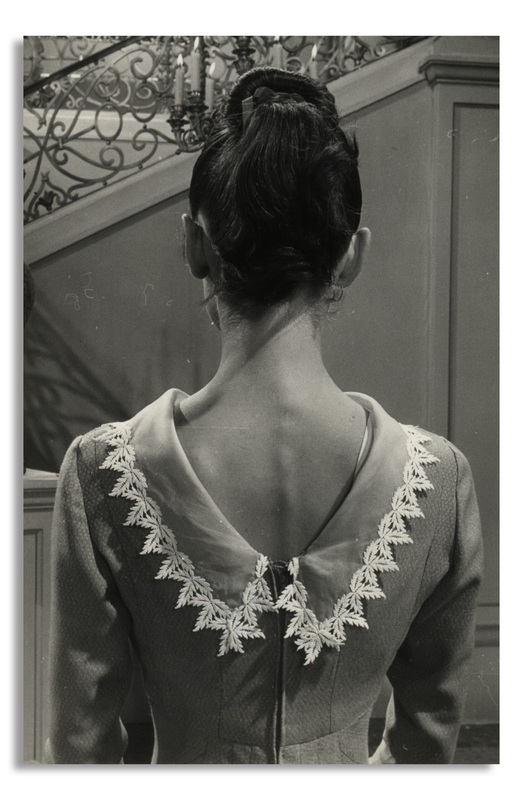 Intimate pair of photos of Audrey Hepburn, from her personal collection, taken during pre-production of the film ''War and Peace''. 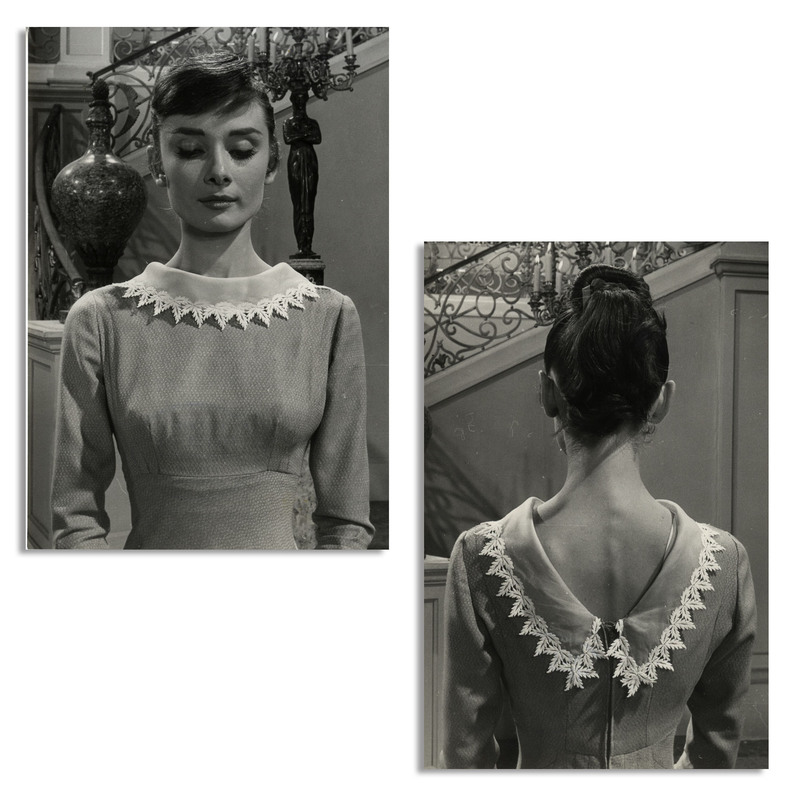 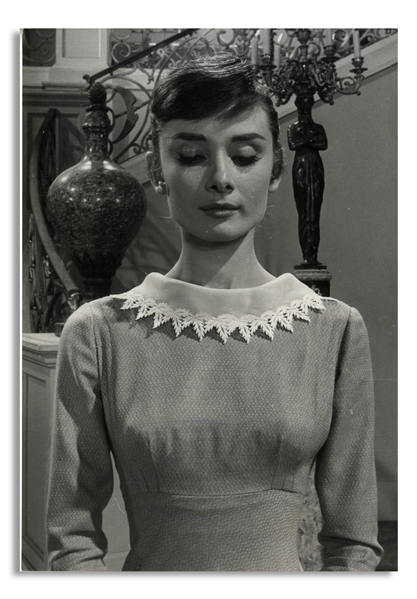 The photos show Audrey at different angles in costume as her character, the heroine Natasha Rostov. 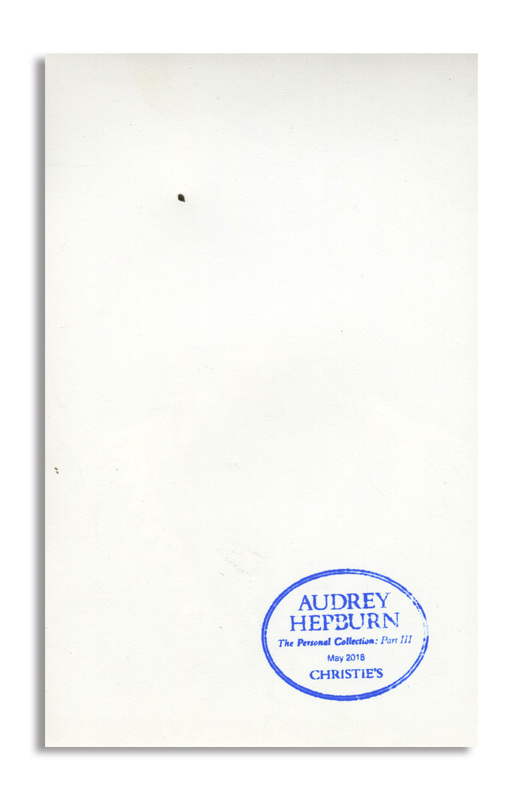 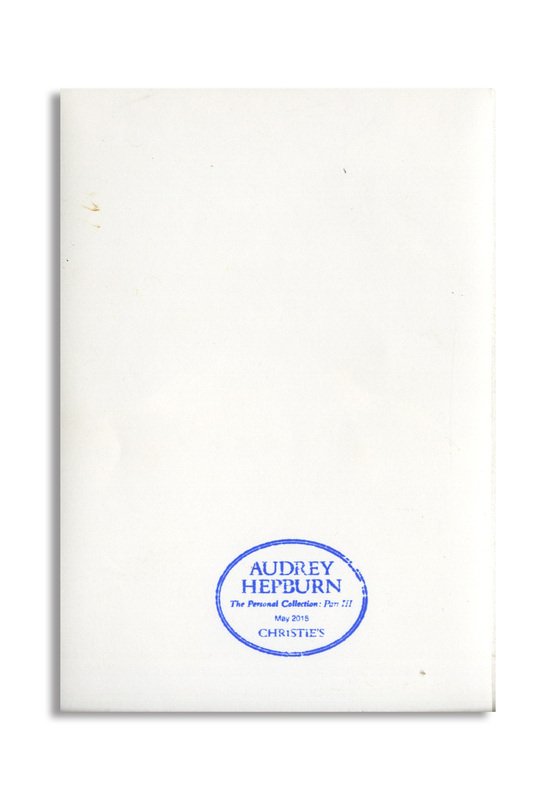 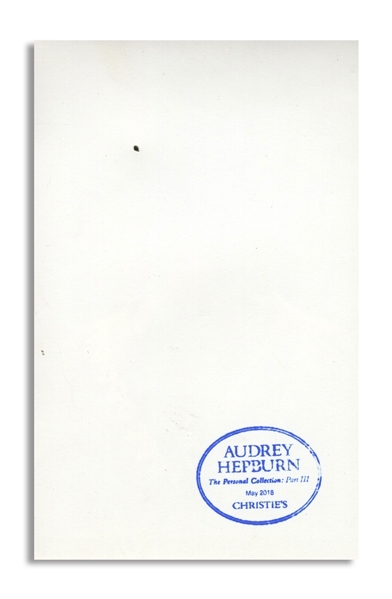 Glossy silver gelatin photos each measure 4.5'' x 6.75'', with Christie's stamp to versos. Very good to near fine condition.